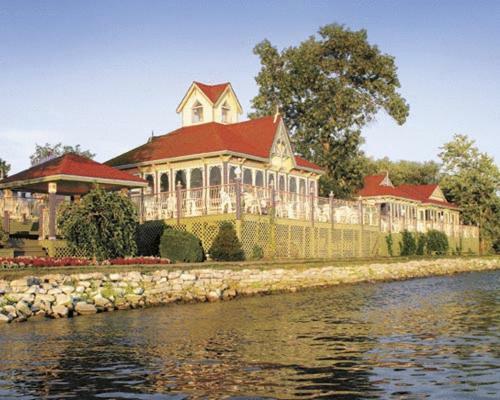 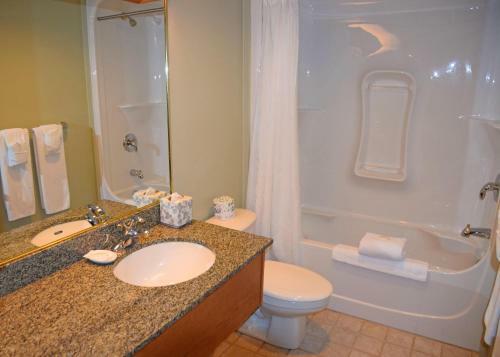 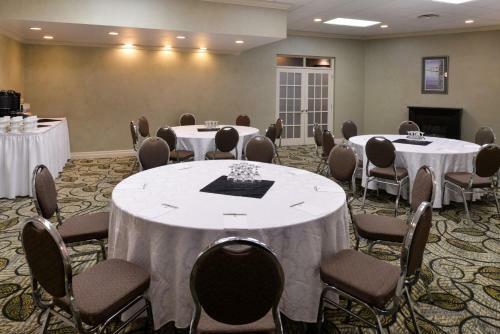 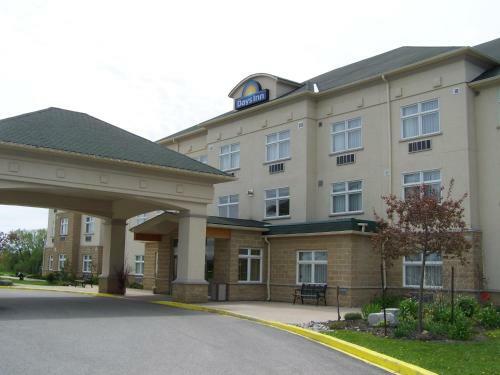 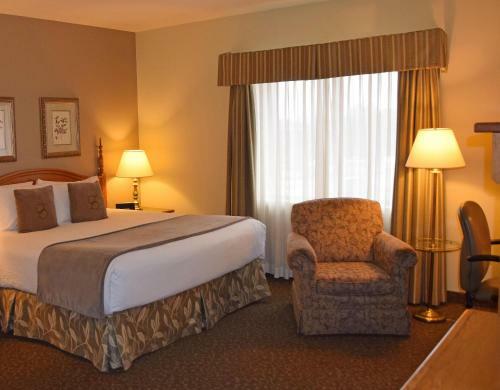 Located in Orillia Stone Gate Inn features an indoor pool hot tub fitness centre and lounge. 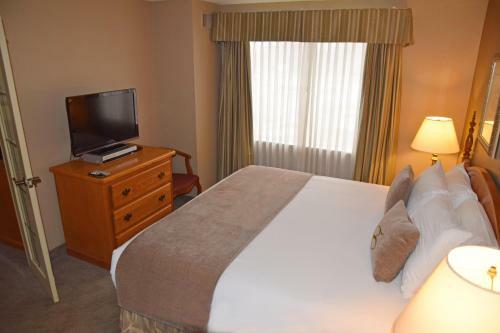 Continental breakfast is included and Mariposa Market is just 2 km away. 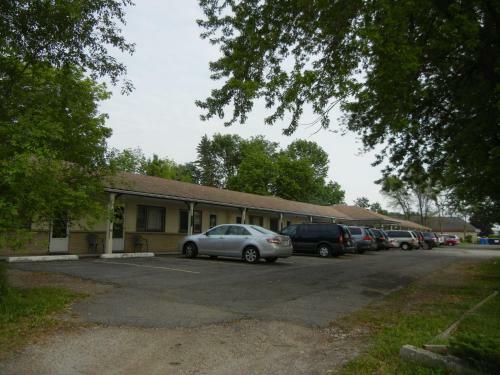 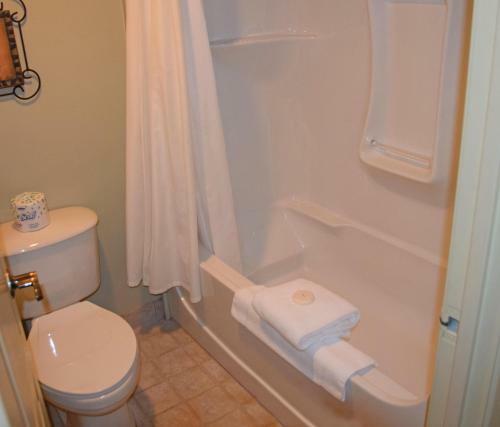 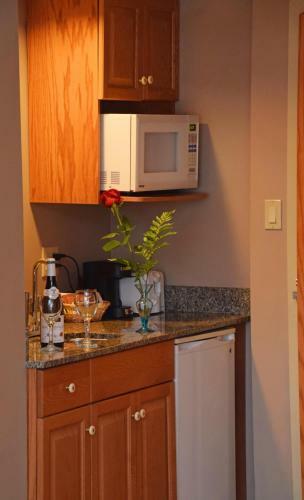 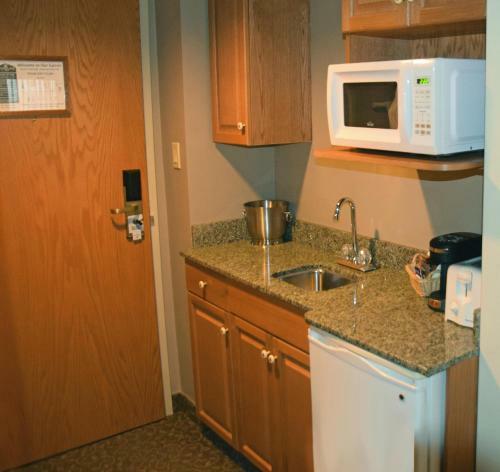 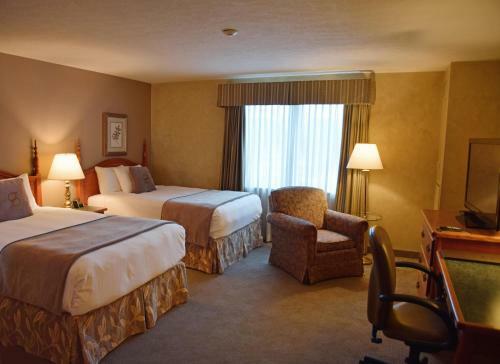 A fridge microwave toaster and 42-inch flat-screen TV are included in all suites at Stone Gate Inn. 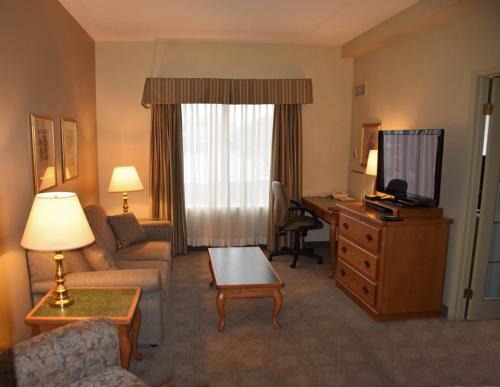 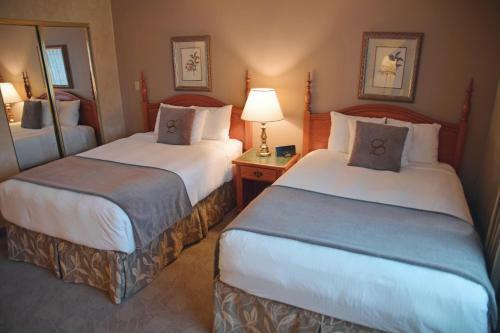 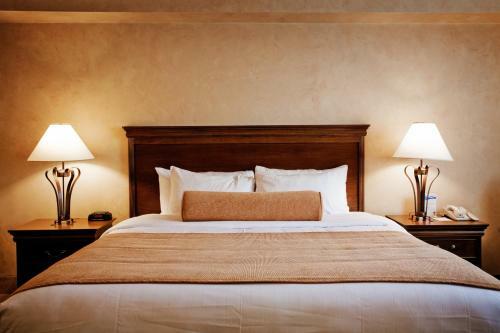 Executive and luxury suites are appointed with a sitting room and separate bedroom with a second flat-screen TV. 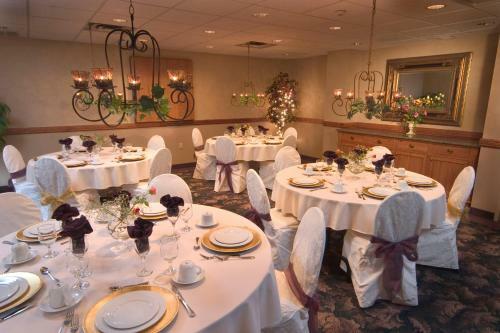 Stone Gate Inn has a fully licensed lounge with a pub-style menu that is available 24/7. 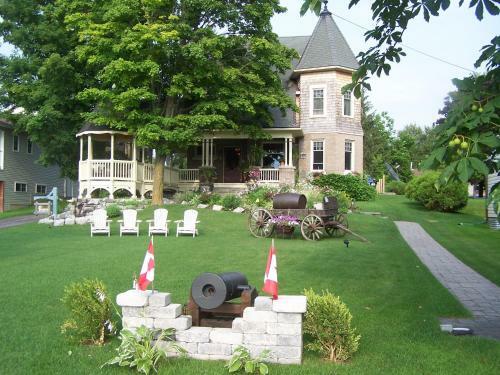 Orillia OPP Museum is 6 km away. 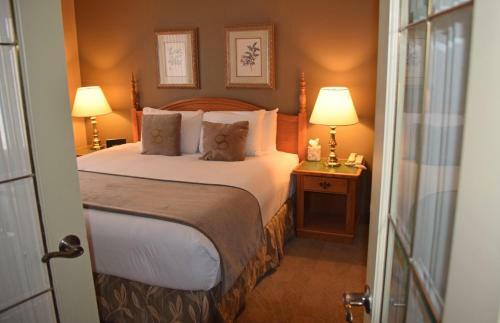 Hawk Ridge Golf Club is 2.6 km from the inn.